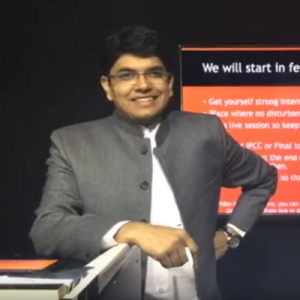 I was struggling with Audit since long but then I attended your one day seminar for Nov 2017 in Kanpur sitting in the very first row. It gave me immense confidence and Sir I just love your teaching style sir. Thanks for taking up this subject. I was really very disheartened on the fact that a subject that requires so much of attention has no proper teacher for it. 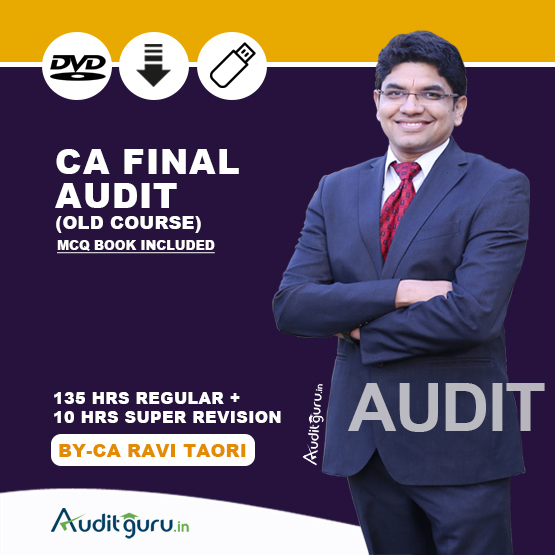 I studied from …………… self study book in my previous attempt and failed badly in audit. I’m a CA now and want to thank you for scoring 50 in Audit. Success is delayed but never denied.. u are truly a mentor.. keep guiding me always .? 3 key reasons for your success in exams? 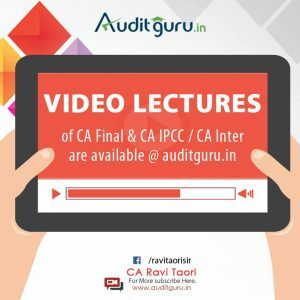 2) I used to watch Ravi Sir lecture on youtube and I loved his style of explaining and that compelled me to get his video lecture and which cleared my concepts. 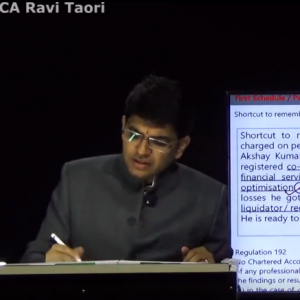 And I have not taken any coaching for any subjects of CA final earlier I did self study. 3) My experience with Ravi Sir lecture was great and I am recommending many of fellow students and friends for Sir’s lecture. a) Equal preference to each subject and on the basis of trend of last 5 attempts, more focused towards Last 5 attempts RTP. Special Preference on theory subject on the basis of ABC Analysis. Focused towards retaining rather than merely reading notes. 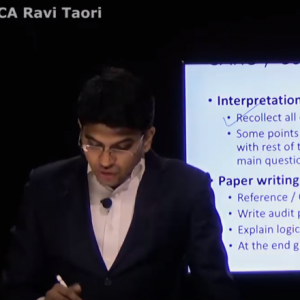 b) Make short notes and memory technique of all theory subject specially audit.Memory technique should be based on real life not learning type. Revise short notes many time for retaining purpose. It is better to refer 1 good book 10 time rather than reading 10 different books. c) Decide in advance what material you will refer on the last day of exam along with time devotion of each part of your coverage. This should be prepared at least 2 months before exam. 250% believe on your own material. not compare your journey with your friends and others. I attended the 1 day revision lecture conducted at delhi. 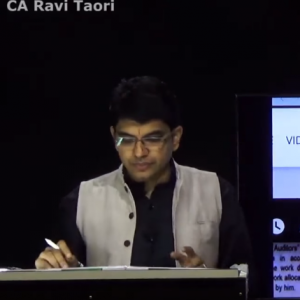 Then I realised that what a special teacher Ravi Taori sir is!. 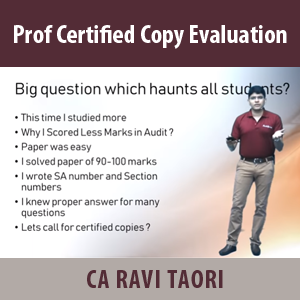 Then I purchased Ravi Taori sir Classes. 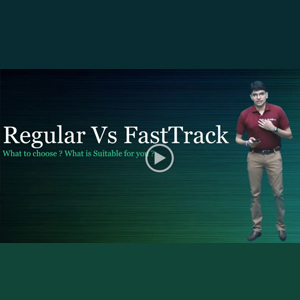 I have experienced awesome style of teaching, image recognition technique, 100% query resolution on Phone just like a personal coach, ready made short notes of all important aspects along with memory technique ,practical and real life experience reflected in teaching. Very good friend along with awesome teacher. Enjoyed alot. Thank u so much sir for your support and love. 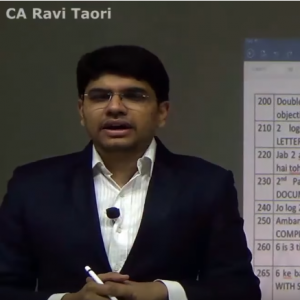 CA Ravi taori Sir is the best teacher for audit, you made so sincere efforts to make us learn and understand quickly. covers 100% syllabus with detail. Thank you Sir. 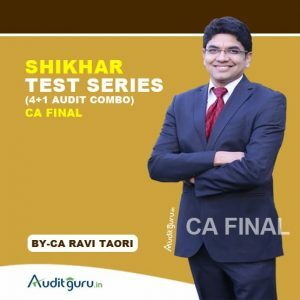 I cleared CA finals in my first attempt(May 2017). Here is what exactly had happened. 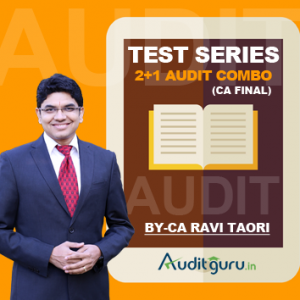 I had referred one of the top selling authors for Audit. Completed my audit reading. However, I had no confidence at all in the subject. I was scared to death. It was the month of February and I needed some motivation and so I went to Youtube. 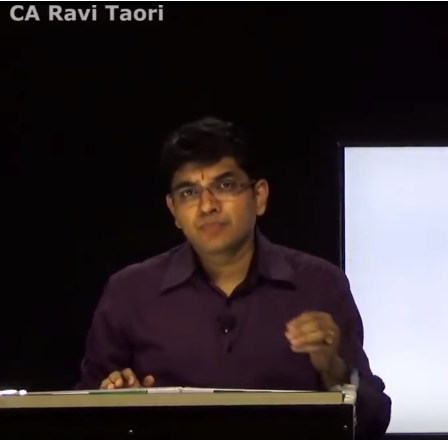 There I found Ravi Taori Sir’s videos having paper analysis, shortcuts, mistakes, etc. The most important thing that I seriously adore about him is his style of teaching, that is the flow which he creates. I recall while I was writing my exam, I could seriously hear his voice narrating the answer. Thank you so much Ravi Sir. I can affix CA with pride before my name because of efforts of teachers like you. Keep up the good work.